Growing automobile industry, increasing market for smartphones, increasing tie ups of car manufacturers with the in-car entertainment system manufacturers coupled with declining prices and rising penetration of infotainment systems are the factors that have resulted in overall growth of in-car entertainment systems market in India. According to 6Wresearch, India In-Car Entertainment market revenue is projected to grow at a CAGR of 5.3% during 2015-21. In India's in-car entertainment market, speaker and head unit segments accounted for majority of the market revenue. However, in the forecast period, higher growth of infotainment systems would be witnessed in the country. OEM market accounted for major revenue share in the overall market and its share is expected to increase further in the forecast period. On the other hand, aftermarket revenue is primarily generated from mid-size and small car segments. India In-Car Entertainment system market is projected to grow at a CAGR of 5.3% during 2015-21. During 2012-14, market declined due to sluggish demand for new vehicles in the country. However, with the recovery of sales of passenger vehicle segment the demand for in-car entertainment systems would surge in the coming years. In the country, the market is primarily driven by Head Units and Speakers followed by the Navigation system. In the forecast period, share of navigation system is expected to increase owing to declining prices and rising demand in OEM segment. The key players in the market include- Harman, Pioneer, Sony, Panasonic, JVCKENWOOD, Alpine, CASKA, Garmin, MapMyIndia and others. 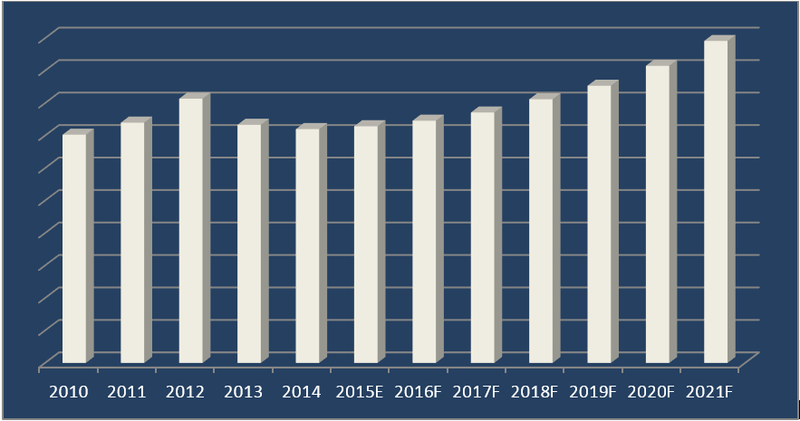 “India In-Car Entertainment Market (2015–2021)” report estimates and forecast overall India in-car entertainment market by revenue, by type such as head unit, navigation, and speaker, by fit such as OEM and aftermarket and regions such as northern region, southern region, eastern region, western region, and central region. The report also gives the insights on competitive landscape, market share by companies, market trends, company profiles, market drivers and restraints.